In the Hoffmann crime series by Christoph Spielberg, Dr. Felix Hoffmann is an emergency room physician at a hospital in Berlin that serves patients who are neither remarkably wealthy or utterly destitute. Some doctors he works with are boorish morons more concerned with their own advancement and perks than their unfortunate patients. Others are plodders struggling to survive in a remarkably bureaucratic milieu. A few are dedicated medical practitioners like Hoffman, doing their best to keep their patients alive with little encouragement in an underfunded, understaffed and underappreciated institution. Spielberg writes about the travails of a German doctor with authority and authenticity because he is one himself: he works as a cardiologist in Berlin and has been on the staff of a large hospital there. This is his fourth novel featuring Hoffman, a physician who finds himself thrust into situations where he is forced to solve mysteries. In Spielberg's first thriller, The Russian Donation (January 2013), Hoffman is on call when a sick Russian immigrant arrives for treatment and dies suddenly. Hoffmann discovers disappearing medical records, an attempt to cover up the cause of death and a conspiracy involving the Mafia. The book won the Glauser Prize, a prestigious award from the German Crime Writers Association. Last April, he published He Who Dies Last, and in December he issued The Fourth Day, both of which will be reviewed here later. 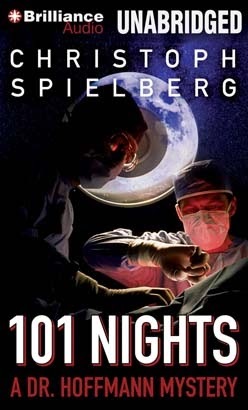 Spielberg's August 2013 novel, 101 Nights, opens with him in an airport to oversee the arrival of a casket containing the corpse of his long-time girlfriend, Celine, who died under mysterious circumstances in pre-invasion Iraq. Hoffman has been told Celine was killed by an improvised bomb while delivering humanitarian materials to Kurdish tribesmen. He doesn't believe it and looks into how she died and why, but he gets the run-around from the Iraqi embassy, which considers him a nuisance, and from the German authorities, who consider him a supporter of terrorism and possible bomb-thrower, himself. The title, incidentally, refers to the 101 Nights that have passed since Celine left Berlin and Hoffmann to deliver her truck full of medical supplies and a water purification unit to Kurdish Iraq. But it also is a play on One Thousand and One Arabian Nights, the fanciful stories that Scheherazade told the Shah of Persia in order to preserve her life. Most of what Hoffmann learns about Celine's death turns out to be fantasy, much like the tales spun by Scheherazade. 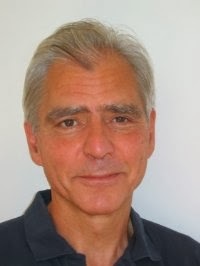 Hoffman launches his own investigation and finds himself under surveillance by real Iraqi terror organizations, and by spies from the U.S., Germany and Hussein's Baghdad. He is beaten up, followed, chased on foot and car, and treated like a pariah by Celine's Old Leftist parents. 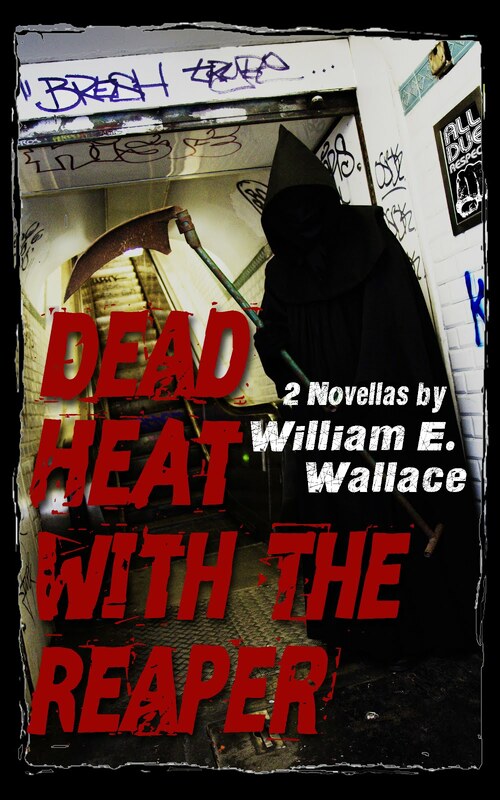 Meanwhile, he faces a corporate takeover at his hospital, patients with recalcitrant illnesses, doctors with secret agendas, shortages of medications and staff, and the sudden appearance of what appears to be a poison gas generating device in the institution's basement, part of Celine's shipment that was left behind. The plot of 101 Nights is solid, with no major plot holes or logical lapses to interfere with the mystery aspect of the story. Most of the major characters are believable. The book, which was originally in German but has been translated to English by Spielberg with the assistance of Christina Henry de Tessan, features dialog that is generally convincing and fits the speakers. (Two Americans who show up in the course of the action exhibit some of the weird diction that European and British authors seem to believe is common among those from the United States, but they do not appear in the story long enough for their syntactical quirks to become a major annoyance). But 101 Nights is maddeningly uneven in a variety of ways that keep me from completely endorsing it. Minor characters who appear in the book are empty stereotypes: the dull-witted policemen; the officious but incompetent corporate official who oversees a terrorism exercise and bungles it; the empty-headed Kurdish rebels who seem too stupid to tie their shoes, let alone manage an insurgency against Sadam Hussein; the vicious millionaire developer who is engaged in smuggling weapons. The quality of a thriller is partly related to the credibility of its villains, and the villains in 101 Nights are more annoying than menacing. Speaking of annoying, the word can occasionally be used to describe Dr. Hoffman, himself. For an amateur sleuth, he often seems to miss very obvious clues. And as the protagonist and lynchpin in the series, he occasionally acts in ways that seem utterly out of character, not to mention stupid. For example, the physician is anything but heroic and knows that some of the people he is investigating pose a real physical threat; yet he repeatedly fails to take basic precautions to insure his own safety at key spots in the book. At one point, he starts out on a dash to Egypt to try to find a key character, even though he has no idea what to do once he gets there and strongly suspects he is under surveillance by spies and terrorists. He ultimately scraps the plan at the last minute, disrupting a major airport and drawing more attention to himself. The entire sequence of events is fantastical and absurd, and fails to advance the novel's plot in any meaningful way. At another, he has a sexual dalliance with one of Celine's best friends, even though he is supposed to be a faithful fellow whose only female partner for many years has been Celine. The reason is never adequately explained (too much wine is the feeble excuse offered -- although alcohol, as any doctor knows, tends to suppress sexual function). The episode makes him seem inconstant, lascivious and opportunistic. These episodes undermine Hoffmann as an everyman protagonist who is sympathetic to the reader. What's worse, they make him appear to be an irritating twit; In her sociopathic antihero Tom Ripley, Patricia Highsmith set forth the rule for getting away with an unlikeable protagonist: make him such an immoral monster the reader can't bear to look away; Felix Hoffmann doesn't make the cut. He simply comes across as a jerk. In my view, the best thing about 101 Nights was Spielberg's scathingly grim view of authority figures and bureaucracy in general. People in positions of power in this book are inept, evil or willing to endure villainy for expediency's sake -- including some characters that seem honest and supportive. Toward the end of the book, an obnoxious administrator is appointed director of Hoffmann's hospital for political reasons, even though he is clearly a charlatan with few skills and no intelligence. Yet Hoffmann, who is ostensibly a rebel who speaks truth to power, passively accepts the situation. I find that kind of cynicism refreshing. I'd probably enjoy sitting down for a cup of coffee with Dr. Spielberg. But Dr. Hoffman? Not so much.